A shaped back adds a cool look to this slipper accent chair. It's a fun way to add extra seating and updated style anywhere with in your home, whether it is your living room, a bedroom, or office. 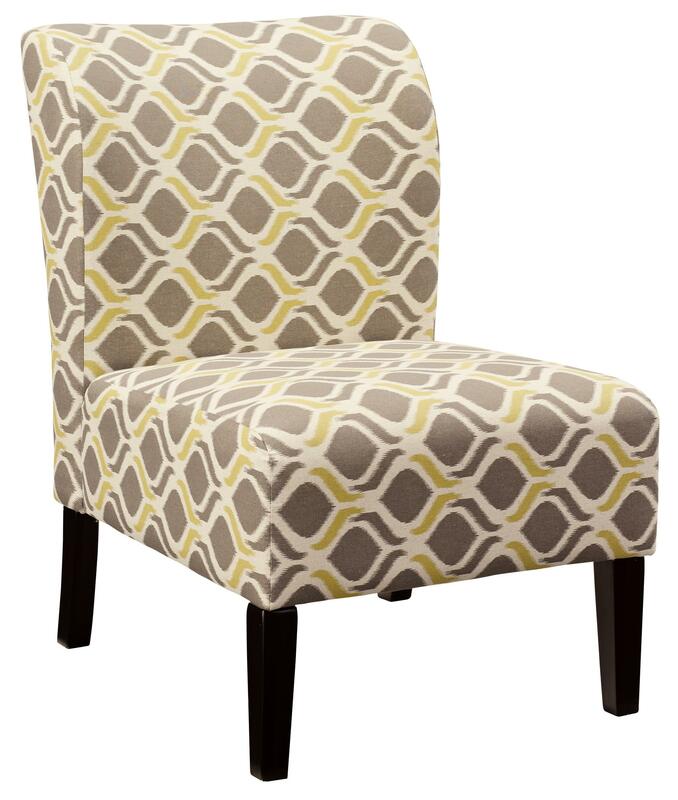 The contemporary fabric is an ikat style geometric pattern with gold, cream, and gray tones. The Honnally Contemporary Slipper Style Accent Chair by Signature Design by Ashley at Michael's Furniture Warehouse in the San Fernando & Los Angeles area. Product availability may vary. Contact us for the most current availability on this product. Leg or Skirt Tapered front legs are removable.